Landmark Studios is an innovative landscape architectural practice creating exceptional projects both locally in South Africa, and internationally, through its sister offices in Dubai, Oman, the Philippines and Montenegro. Landmark Studios was originally conceived in 1986 by Mark Young, one of three partners alongside Glenn Wagner and Sean Driscoll. Landmark Studios is known for its remarkably talented team and commitment to excellence throughout the design process and project execution. A trusted name in the industry, the practice is skilled in all stages of the design process from project inception and master planning through to site supervision. The company has vast experience in hotels, golf and beach resorts and spas, as well as residential, commercial, retail and civic projects, although the depth of talent abundant in the firm ensures their ability to tackle any design challenge. The close relationship between the Landmark Studios team, other consultants and the developer results in collaboration par excellence. Understanding the vision and feel of projects, and designing to support these, the practice continually delivers elegant and prestigious work; fulfilling and exceeding briefs. The company prides itself on its professional and courteous manner in all of its interactions, as evidenced by continued client loyalty. The focus is on clear communication channels, transparency and a relaxed atmosphere in which to generate the best possible design solution. Landmark Studios employ a diverse team consisting landscape architects, urban designers, architects and horticulturalists. Landmark Studios has grown steadily since its inception, with a loyal and committed team. An internal ethos of commitment and dedication to each individual project merges with a work environment of lively cooperation, ensuring the continued ability to work in a coordinated, integrated and efficient manner. Further to high standards in design and coordination, the firm makes every effort to be as environmentally friendly as possible. Using local materials and indigenous plants, and drawing on local knowledge about what is appropriate to each environment, the goal is always to impact positively on each and every location. With a focus on craft design, all hard landscape elements, such as paving, walls, steps, water features, swimming pools, pergolas, bridges and lighting, are designed to specification. An exceptionally talented design team continually produces innovative and bespoke elements which are executed by an equally talented technical team. Solutions to even the most challenging of needs are met with confidence in Landmark Studio’s abilities and proven track record. The adage ‘only as good as the last job’ is one of the principles which keep the team motivated to produce work of the utmost quality with attention to the finest details. The team has proven time and again that they are capable of creating unique spaces across a diverse set of terrains and design styles catering to a high-end market – they create memorable landmarks with a crafted sense of place. Mark was born and educated in England and qualified there as a landscape architect. He has also lived in Ghana, Canada and South Africa. He received a Bachelor of Arts (Landscape) Degree in 1981 and a Graduate Diploma (Landscape Architecture) in 1983. He founded Landmark Studios in 1986. Mark’s diverse experience ranges from flagship corporate projects to large resort projects in locations from arid Dubai to the lush tropical Seychelles. He is involved in all aspects of the business and heads up the design team on all major projects. Mark is quietly influential, confident, humorous, down-to-earth and professional. 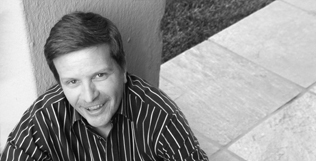 Glenn is a professional landscape architect, qualifying in 1990 from the University of Pretoria. He started his career specialising in golf course design and commercial landscapes. He joined Landmark Studios in 1997, working predominantly on casino projects throughout South Africa. Glenn leads the Africa portfolio with landscape projects throughout the continent, with special emphasis on high-end hotel and resort developments in South Africa, Rwanda, Uganda, Tanzania, Namibia and Ghana. His expertise lies in site supervision and administrative skills. Glenn is pragmatic, organised, amiable and well respected within his team and the industry. 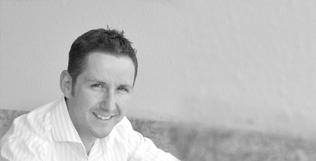 Sean is an architect by profession with over fifteen years of experience within the landscape industry. Sean joined Landmark Studios in 2000, and has been based in Dubai since 2008, leading the Middle East portfolio. He has vast experience with tourism-related projects, with a focus on hotels, resorts and casino complexes located throughout the Indian Ocean islands (Mauritius and the Seychelles), Portugal and the Middle East. Sean is a problem solver who epitomises professionalism in all of his dealings.